The Kang bed is a sleeping platform widely seen in the villages of Northern China. It is a rectangular construction built on the ground of the room, and is usually located by a window. As its other name—Fire Kang—suggests, it is mainly a heated bed, which is indispensable in the rural areas of China during winter. 2. What is it like? Bricks or cheap fired clay are used to build the Kang. While the size varies, it provides enough sleeping space for a few people. The Kang generally consists of three parts: a stove for fuel, the bed itself, and a chimney. The heat from the stove is directed through flues under the bed and the smoke is released through the chimney. To capture as much heat as possible, the formation of the flues is very important. The flues can resemble a maze which allows for the maximum exposure of heat to the surface of the bed. Still, the area close to the stove is usually warmer, and becomes a reserved spot for elders. Wood, grass, coal, straw and corn cobs are common fuel sources for the Kang. Since bricks and fired clay take longer to heat up and cool down, fuel is burned in the stove a couple of hours before going to bed. When the Kang gets warm enough, it can take a whole night to cool down, providing enough warmth in the freezing winter. The surface of the Kang bed is fired clay and big straw matting is placed over it to lessen the heat and avoid the dirt. A thick quilt is the second layer of covering, followed by a cotton-padded blanket and a bed sheet. The Kang table, a short-legged small table, is sometimes placed on the Kang bed. The table comes in handy for placing cups or food on it. Sometimes people eat their meals on the Kang table. The Kang bed is multifunctional. It can serve as a bed, floor, table and chair. Its stove can be used for cooking and boiling water for drinking tea. In many rural families, the Kang bed is the only source of heat and this makes it a great place for families to come together and talk, tell stories, or sing during the cold winter nights. It is quite common for parents to sleep on the same Kang bed with their children. In some places, mourning services and marriage ceremonies are carried out on the Kang bed as well. This is a very concise summary of Confucius and his thoughts. This is not meant to be comprehensive, but the core ideas of Confucianism are presented here. A spiritual leader and teacher born 2500 years ago, Confucius is recognized as a culturally symbolic figure of Chinese thinking. He was the founder of the School of the Literati, but there is no record of his own writing. His teachings were preserved and compiled into Analects by his disciples. 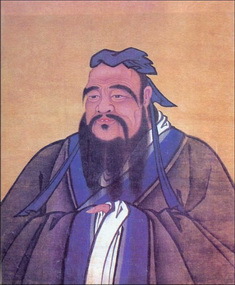 Confucius, which is the latinized form of his name, is known in China as Kong Zi. Family ethics Since parents give life to their children and raise them, the children are indebted to their parents and should treat the parents with submission and gratitude. The primary virtue of the children is to be obedient and to respect the absolute parental authority. Political philosophy On the basis of its family ethnics, Confucius developed his political philosophy — the subjects owe absolute loyalty to the emperor; each one in the society should fulfill his or her duties associated with their social roles. In this way, an orderly society is created. Confucius expected the ruler to “rule by moral force”, but he didn’t say what to do if the ruler chose to be immoral. His political philosophy was an important factor in maintaining an ultra-stable agricultural society in China. An ideal society is established, if everyone carries out the responsibilities designated by his social roles. This idea has been echoed by the Chinese government in its recent initiative to build a “harmonious society”. 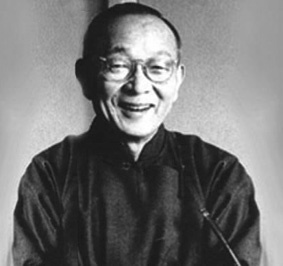 His teachings on ethics shaped the Chinese national character. Members in both the family and the society are expected to treat each other with benevolence and civility. The idea of a gentleman, who should continuously pursue self-cultivation and self-elevation in order to serve his family and country, explains the emphasis on education in Chinese culture. On government There is government, when the emperor is emperor, and the minister is minister; when the father is father, and the son is son. On social harmony What you do not desire for yourself, do not do to others. Qing Ming or the Tomb Sweeping Day is the time for Chinese people to visit tombs, present offerings and burn the spirit money for the deceased. It typically falls on April 4, 5 or 6 every year. Last Friday, I was surprised to see that street stalls were selling the spirit money that looked like the U.S. dollars. The traditional Chinese belief holds that when people die, they go to the underworld and continue to live on. The underworld does have a currency in circulation, but it is not designed or printed by the residents of the underworld. It is people who are alive that make the spirit money and burn it on memorial occasions. The idea is that the spirit money, after being burnt, will be received by the people in the underworld for them to spend. Sometimes, paper-made miniature cars, houses or electronics are also burnt for the people who are six feet under. Interestingly, to avoid the remittance being robbed or stolen, a small amount of spirit money is burnt first for the roaming spirits of the strangers. After taking care of the homeless ghosts, the living people then burn the larger sums for the deceased in their family. 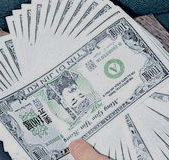 Generally, the spirit money is designed to resemble the real banknotes. However, the head on the spirit money is changed into the Jade Emperor, the god who governs the heaven, the earth and the underworld. Also, the face value of the spirit money is exponentially higher than that of the real banknotes, ranging from millions to billions per note. For example, this one has a face value of one billion! Why is the spirit money copying the design of the U.S. dollars? Perhaps citizens from the Chinese underworld are now making trips to the American underworld, I guess? Although I don’t like QQ and use it only on rare occasions, I have to admit it is the most popular instant messenger program in China. Especially for teens and twenty somethings, this program is a must-have. QQ was known earlier as OICQ. It changed the name into QQ in 2001 because of its copyright infringement on AOL’s ICQ. The discussion group and the resumable file transfer are the two distinctive features of QQ. The users can create and join discussion groups if they have a high user rank or pay some fee. QQ is also capable of transferring large files at a very high speed. If the file transfer is interrupted, it can be resumed upon reconnection. Many critics of QQ, including myself, think it has grown cumbersome and resource hogging over the years. Even the most loyal QQ users are annoyed by its incessant flashy advertisements. Some people began to modify QQ and released many so-called “optimized QQ”. Among the hacked versions of QQ, CoralQQ is the best known and the most popular. It is ad free, less resource hungry, and capable of showing the IP address and the location of the chat buddy. In August 2007, the author of CorealQQ by the name of “Soff” was arrested on charge of violating the copyright of Tencent, the owner of QQ. A poll held by a Chinese portal site, however, shows that the predominant netizens are supportive of Soff rather than Tencent (96.3% vs 3.7%). Your Chinese zodiac sign may be a rooster, but you are actually influenced by the dog sign. How could this be possible? The Chinese calendar is both lunar and solar based (lunisolar). Nearly all the important traditional Chinese festivals are celebrated on the basis of moon phases. The solar aspect of the Chinese calendar, however, is important for agricultural activities and remains constant from year to year. Chinese New Year’s Day, which is the first day of the first lunar moon, is generally regarded as the time for the rotation of astrological signs. But this is not the case in the solar-based system of the Chinese calendar. In the solar-based system, a year is broken into 24 seasonal markers to accurately reflect the positions of the sun. Lichun, which means the Start of Spring in Chinese, is marked as the time for the changeover of signs according to many astrologers. The Start of Spring almost invariably falls on February 4th. Sign rotation on Chinese New Year’s Day is better known among the general population, but many Chinese astrologers tend to recognize the Start of Spring as the time for the transition to the next sign. Although the dates of Lichun and Chinese New Year’s Day are different, these two methods do not make much difference for most people. However, for those who were born around February 4th, a decision has to be made as to which one to adopt. For example, January 29th of 2006 was the beginning of the Year of the Dog. But in the solar-based system, the rooster sign ruled until February 4th. 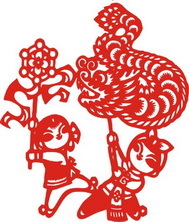 In the year 2008, the Chinese New Year was on February 7th, while the rat sign had come three days earlier according to the solar aspect of the calendar. Using the solar-based method is no doubt simpler. It may reflect the true qualities of the people whose birthdays approximate February 4th. You can find your Chinese zodiac sign here. If you want to use the solar-based method, just remember the rotation of signs starts on February 4th. The Chinese have no prudery about food, or about eating it with gusto. When a Chinese drinks a mouthful of good soup, he gives a hearty smack. Why do the Westerners talk so softly and look so miserable and decent and respectable at their meals? Most Americans haven’t got the good sense to take a chicken drumstick in their hand and chew it clean, but continue to pretend to play at it with a knife and fork, feeling utterly miserable and afraid to say a thing about it. This is criminal when the chicken is really good. Such is human psychology that if we don’t express our joy, we soon cease to feel it even, and then follow dyspepsia, melancholia, neurasthenia and all the mental ailments peculiar to the adult life. It is quite alright to smack the lips or make “noises” when eating. Use two hands when passing things to other people (such as dishes or cups). Nobody licks the fingers. Chinese never lick their fingers. Don’t stick the chopsticks upright inside the bowl of rice (it is a funeral ritual). You can lift the bowl up and eat from it. This avoids dropping the rice on the table. The more distinguished the guests are, the more dishes are prepared or ordered. Chinese don’t put ice in their drinks. Chilled drinks are considered bad for the stomach. Daily consumption of soft beverage is considered unhealthy, especially for kids. Generally you don’t have to pay tips in restaurants and the service is good. “Desserts” are sweet soup or fruit, not pies or cakes. There is no legislation to limit alcohol consumption in China. Alcoholism barely constitutes a social problem there. Chinese don’t drink unboiled tap water. Boiling tap water is a sanitization process and a must-do for preparing tea. If you are curious to know why Chinese don’t mind noisy eaters, read the reason here. Of course, there are exceptions to every cultural rule, and some Chinese do mind noisy eaters.